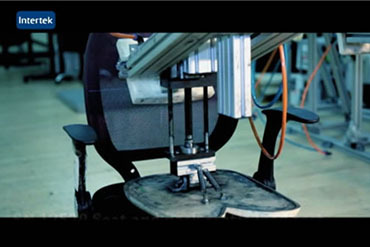 Intertek provides customers end-to-end quality assurance solutions for furniture products. By assessing the performance, electrical safety, regulatory, and sustainability of your furniture products, Intertek experts can provide assurance of the quality and safety of your products. With a global network of furniture laboratories Intertek has the total quality assurance solutions to meet your product needs. Performance: Evaluating the durability and performance of your furniture products to meet industry standards and consumer expectations. Electrical Safety: Ensuring furniture products with integrated electrical components, such as height adjustable tables, panel systems, and furniture power distribution units, meet applicable safety standards and comply to the National Electric Code. Flammability: Determining the fire resistance of furniture, cover fabrics, and filling materials in accordance with national and international standards. Environmental/Sustainability: Demonstrating reduced negative environmental and social impacts of your furniture products while safeguarding the triple bottom line: people, planet, and profit. Consulting: Leveraging on-demand expertise to better facilitate your business. Whether it is designing for compliance, in need of extra resources, or overcoming industry challenges, Intertek can assist.